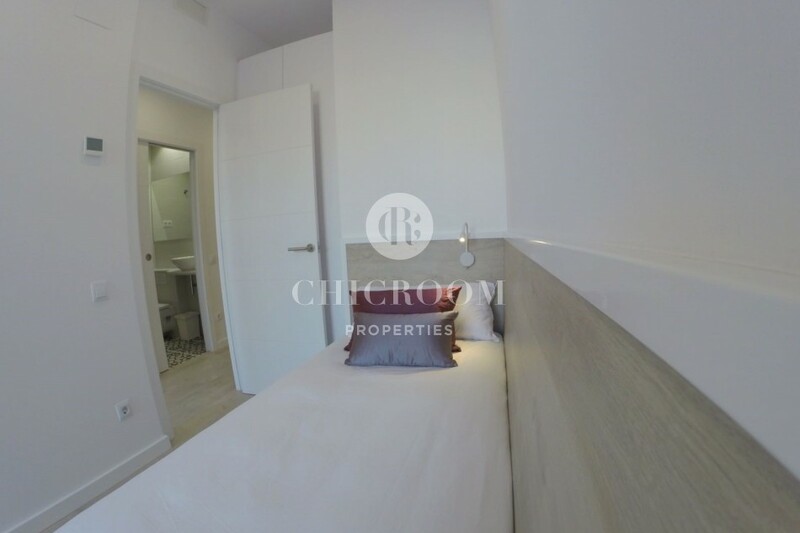 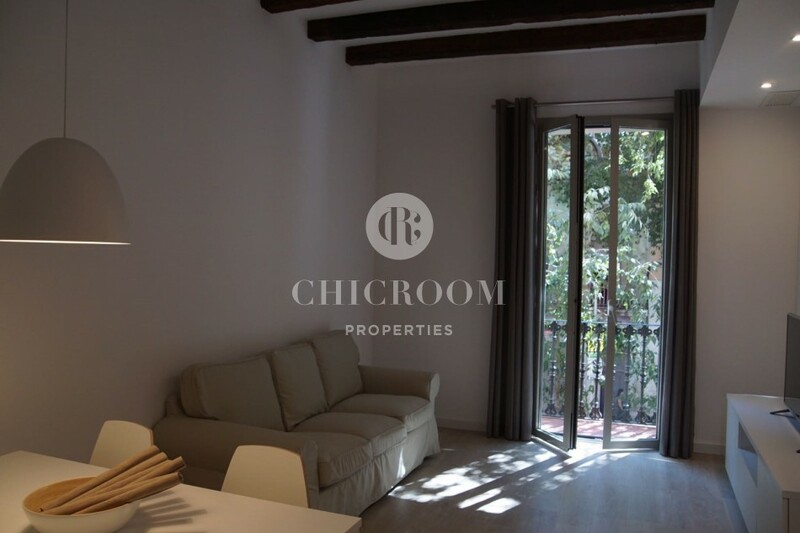 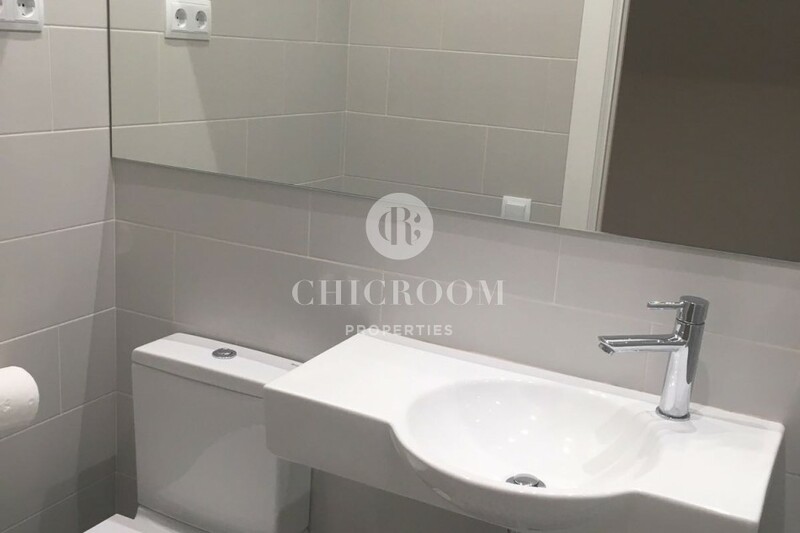 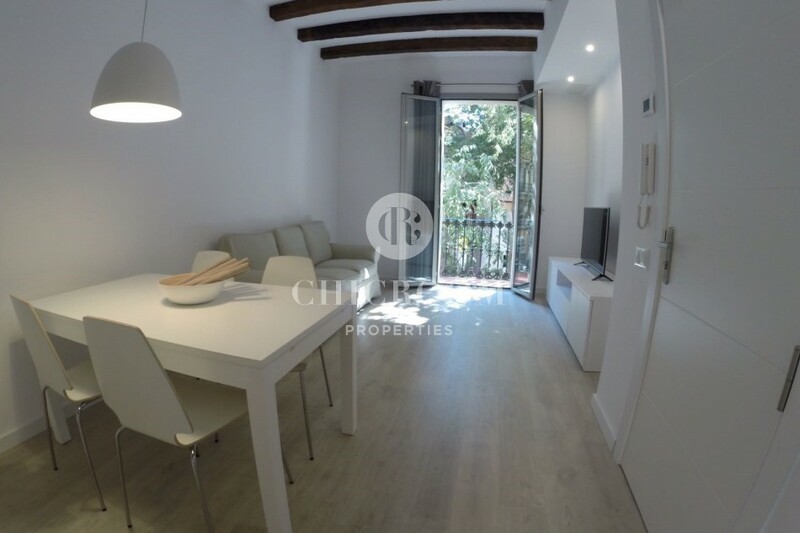 ChicRoom Properties offers you a fantastic 3 bedroom apartment for rent in Eixample neighbourhood. 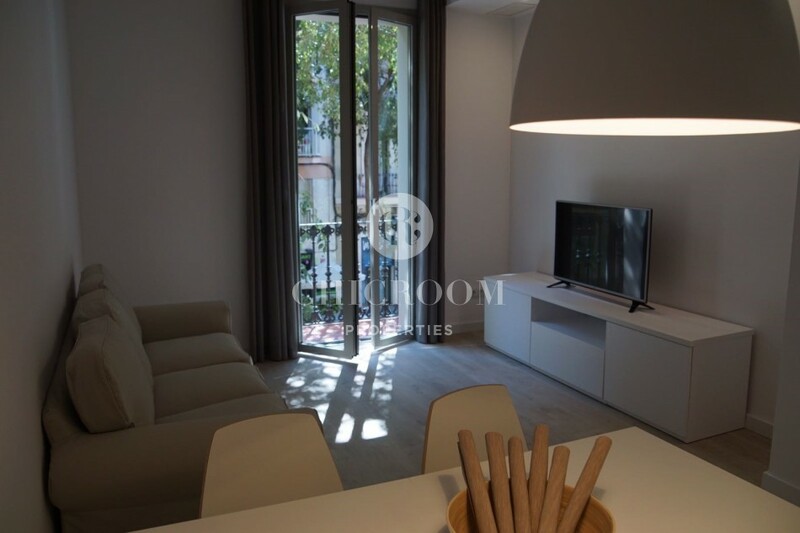 This stylish 90m2 property is the perfect living space that will make you instantly adopt the city of Barcelona like your new home. 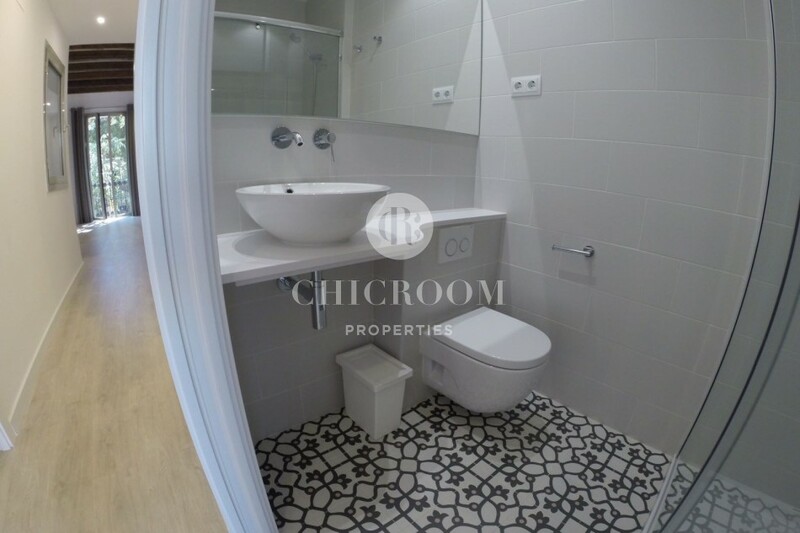 This glamorous and modern apartment with high ceiling, laminated floor embellished with typical Catalan mosaics in some rooms comes fully furnished. 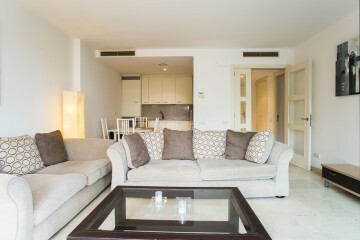 The property is fully furnished with elegant furniture in every room. 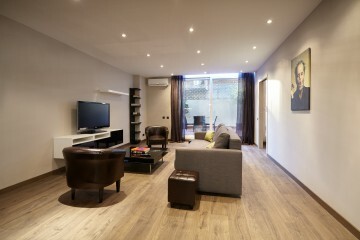 The luminous living room contains a large and comfortable three-seated and a modern flat screen TV. 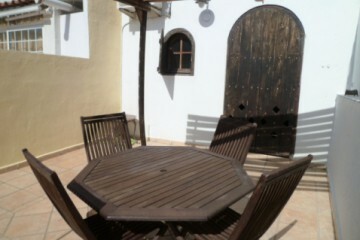 The dining room is attached to it and brings a real sensation of space. 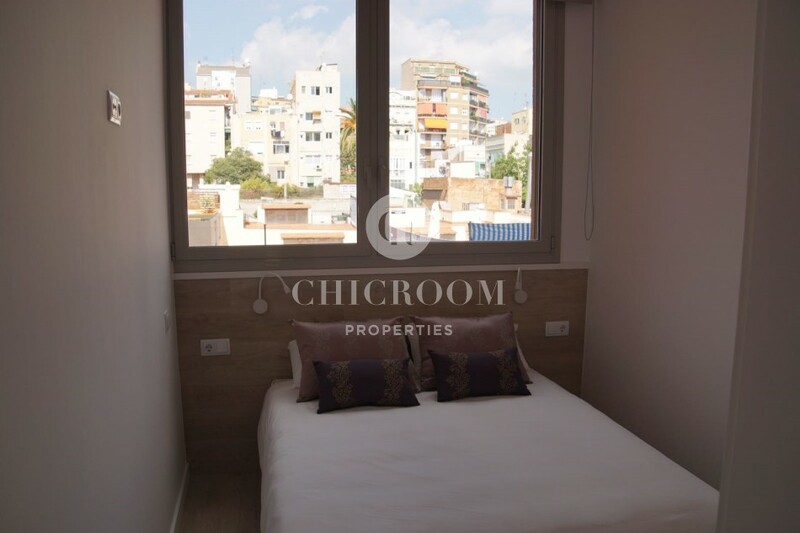 Also, a balcony with view on the neighbourhood allows you to soak up the peaceful atmosphere of the area. 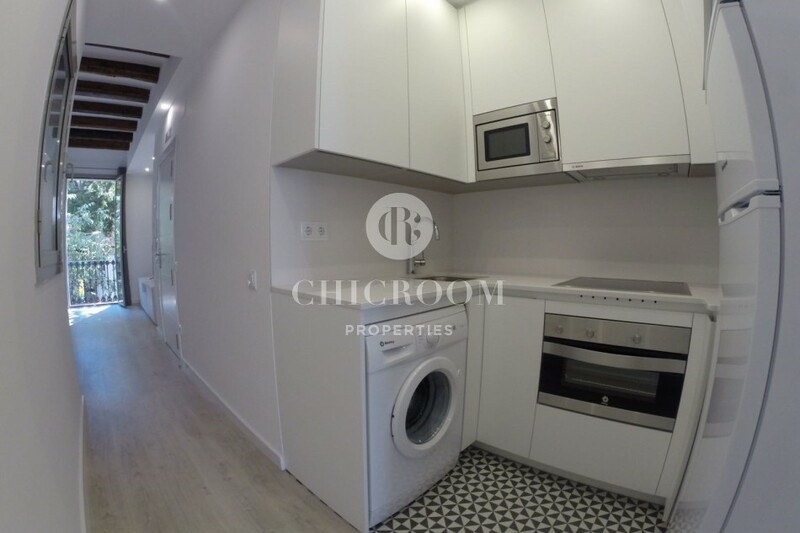 A fully equipped and open kitchen, which contains several appliances such as a washing machine, a fridge, a microwave oven, an oven and a glass-ceramic hob, is available. 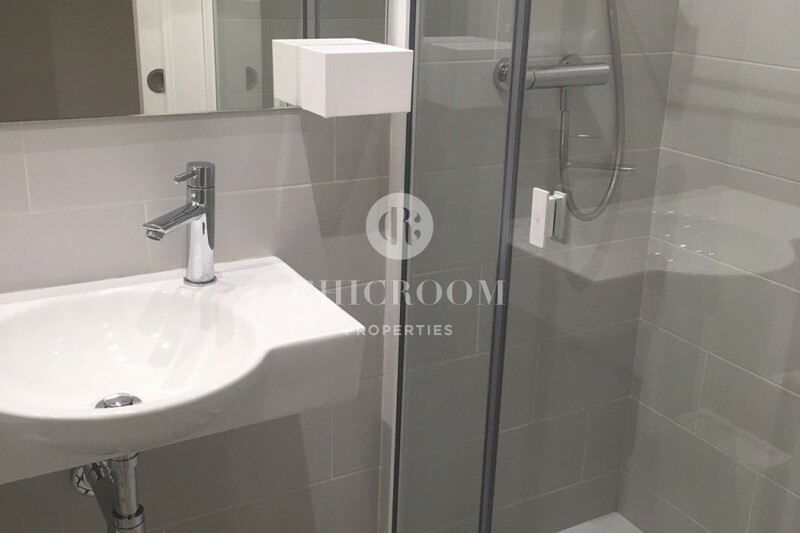 The property has three bedrooms in total - two cosy double rooms and one single room - one bathroom, and towels and linens are provided. 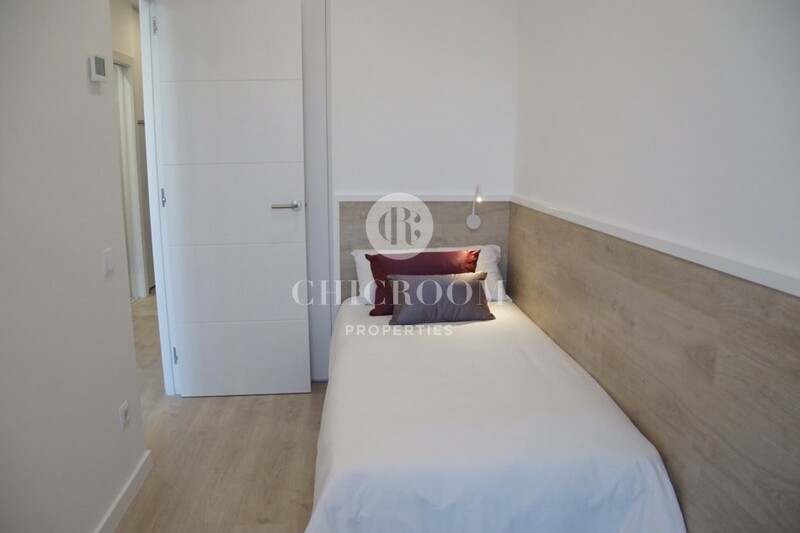 Other features such as a central heating, the air conditioning and a fast Internet connection complete the flat and there is a lift to facilitate its access. 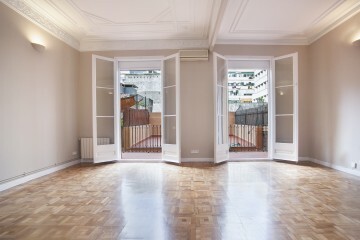 The central location is ideal to wander around and discover Barcelona with no effort. 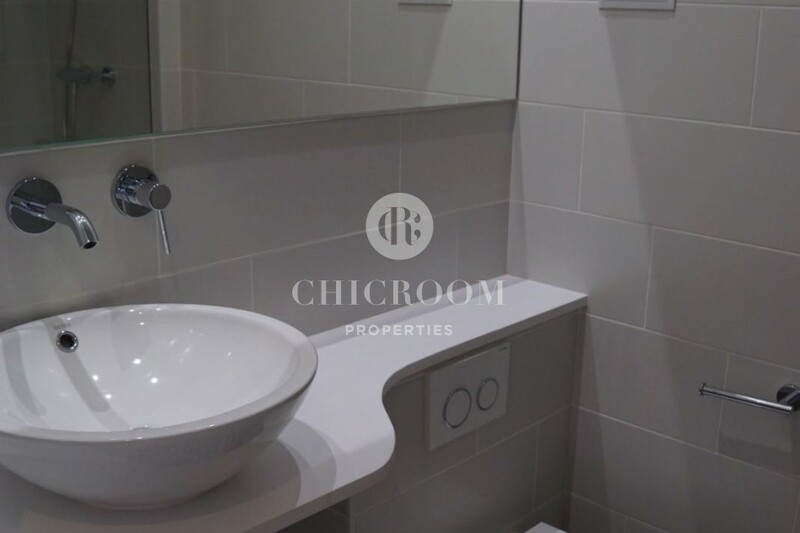 Several metro stations are in the vicinity and buses are frequent and easily accessible to travel anywhere around the city. 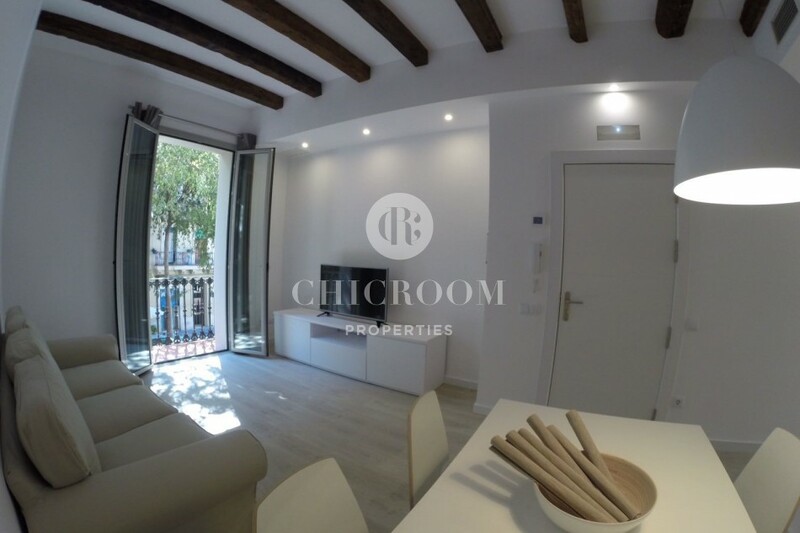 It is only ten minutes walk away from the emblematic Sagrada Familia cathedral and less than twenty minutes from Passeig de Sant Joan that leads to the most touristic parts of the city. 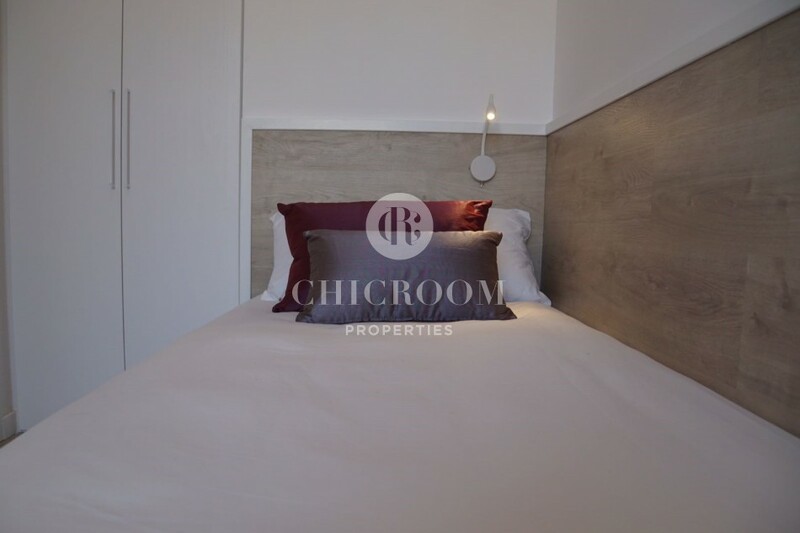 More touristic sites are located in a fairly short walking distance and several local grocery shops, bars, restaurants and other amenities can also be found in this lively neighbourhood. 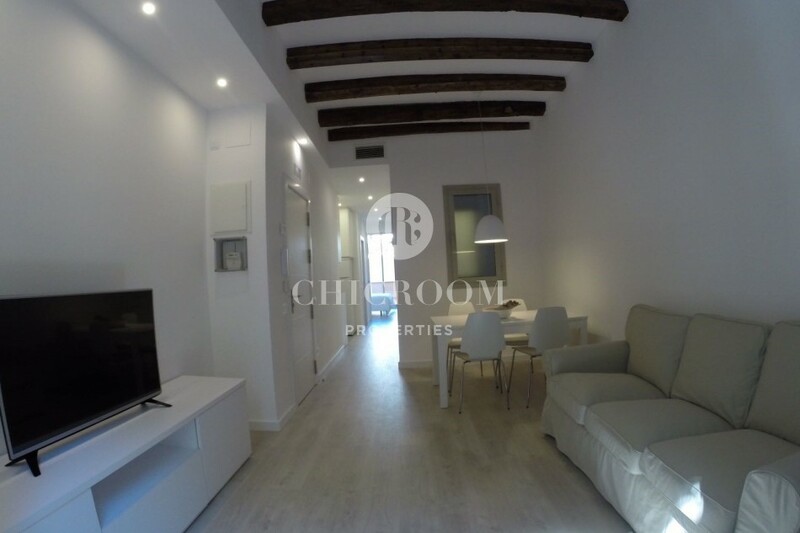 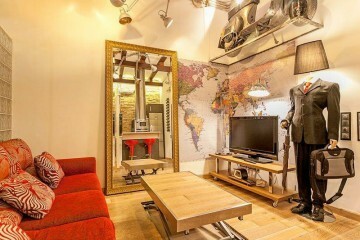 This part of the Eixample district has everything you are looking for if you are willing to make your stay more genuine and if you decide to avoid the bustling and crowded city centre. 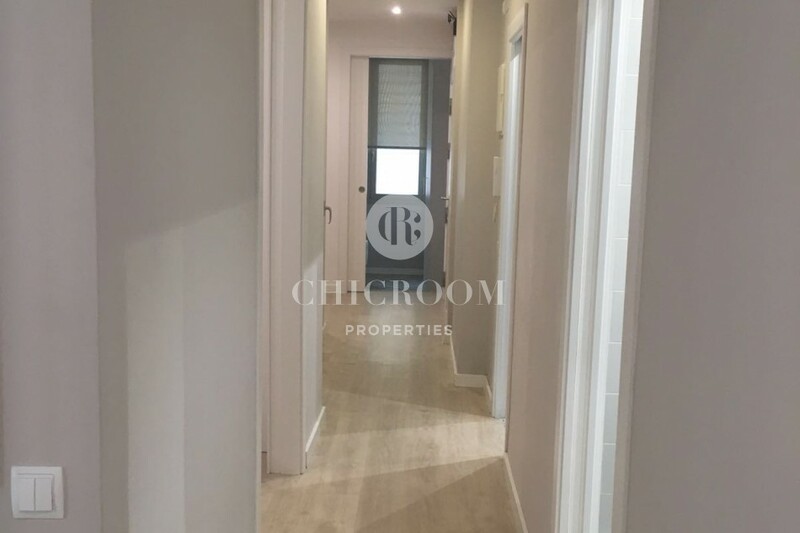 If you are seduced by this fantastic furnished three bedroom apartment in Eixample neighbourhood do not miss the opportunity to make this place your new home in order to experience the best in the Catalan capital.